On Saturday a jury in Florida acquitted George Zimmerman of black youngster Trayvon Martin’s murder. Zimmerman explained that the gun was used in self-defense. A jury agreed with this version, and the death of T. Martin was conceded as manslaughter. The judgment sparked protests in various cities of the country, demonstrators took to the streets of San Francisco, Atlanta, Washington, New York. In Sanford, where the incident took place, officials watched the citizens that came to express their disaffection. Most of the protests were peaceful, but still not all were so minded. As CNN reported, on Monday police arrested 14 people when they jumped on cars, kicked windows and possibly attacked a man. Before that 7 more protesters were arrested blocking streets. On Tuesday one of the demonstrators announced that there are planned more protests to show support for charges. Fearing unrests the research of murder will be continued, as well. Officers received pressure not only from the protesters. The famous singer Stevie Wonder announced its intention not to hold performances in Florida, until the law which allows using force feeling the threat won’t be repealed. One of the jurors also touched the topic of law change. She spoke about having no choice than to recognize George Zimmerman innocent, because by law he didn’t any illegal action. After judgment U.S. president Barack Obama urged to keep calm and to respect the court’s decision. However, more attention was paid to the president’s statement, expressed before the trial, in March 2012. Then Obama said that if he had a son, he would look like Trayvon Martin. It is believed that these words not only revealed the president’s position, which could influence the judgment of court and public opinion, but also confirmed that case has racial motive. The case has caused so much public reactions, exactly because of the fact that Trayvon Martin’s murder is associated with his skin color. The protesters believe that if Tayvon was white, his killer would be convicted, so judgment received a lot of discontent of blacks. Some of them resented that illegal activities can take the guise of self-defense; others even called to kill whites. Meanwhile, one of the jurors said to CNN that she doesn’t believe that this murder has racist connotation, so such reason of murder was rejected. George Zimmerman’s parents regretted the tragedy and said to the media of U.S. that their son isn’t a racist and never have been taught to be so. This topic is widespread on the internet. Supporters of Zimmerman enjoyed victory in the social network Facebook. Meanwhile, the other side distributed online petition calling to bring charges of civil rights violations to G. Zimmerman. This petition was signed by more than 1 million people. Seventeen years Trayvon Martin was shot in 2012 on 26 February, while walking home from the store. That evening volunteer neighbourhood watchman George Zimmerman reported officials about suspicious teenager with a hood, and followed him. The incident occurred when Trayvon asked why he was followed. 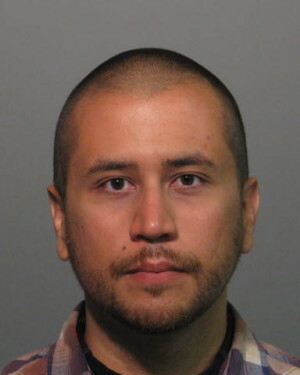 G. Zimmerman said Court that guy attacked him walking towards the car, and the gun was used in self-defense. For this murder man would have been imprisoned for life.